The Royal Enfield Classic 500 Pegasus Edition went on sale exclusively online at 4 pm on July 25, 2018 and was sold out in 178 seconds or just under 3 minutes. 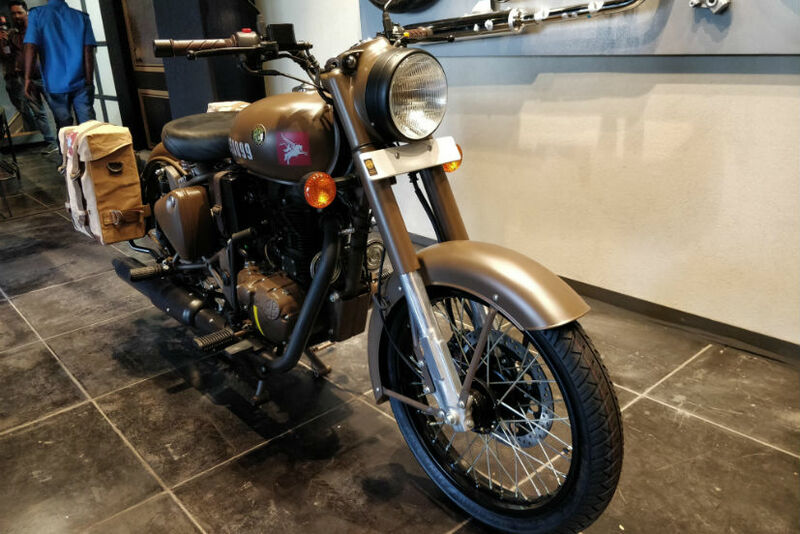 The Royal Enfield Classic 500 Pegasus Edition finally went on sale after much anticipation on July 25, 2018 and managed to create a new sales record in the process. The limited edition motorcycle restricted to just 250 units was sold out in less than three minutes or 178 seconds of the sale going live on the bike maker's website at 4.00 pm. The Royal Enfield Pegasus Edition is the manufacturer's new limited edition offering with only 1000 units to be produced globally. The 250 units were allocated for the Indian market. The Pegasus Edition is priced at ₹ 2.40 lakh (on-road Delhi), and is by far the most expensive offering from the company. Speaking on the record sale of the Pegasus Edition, Royal Enfield - President, Rudratej Singh said, "The sale for Pegasus motorcycles has shown the tremendous aspiration to own brand Royal Enfield once again. Beyond all expectations, the sale of 250 limited edition Pegasus motorcycles was concluded online in a record time of only 178 seconds! I congratulate all the customers who are now proud owners of the Classic Pegasus limited edition motorcycle and thank them for their support and patronage." The Royal Enfield Classic 500 Pegasus Edition exclusively went on sale online where users had to register prior to the sale date and the sale begun on a first-come-first-serve basis. 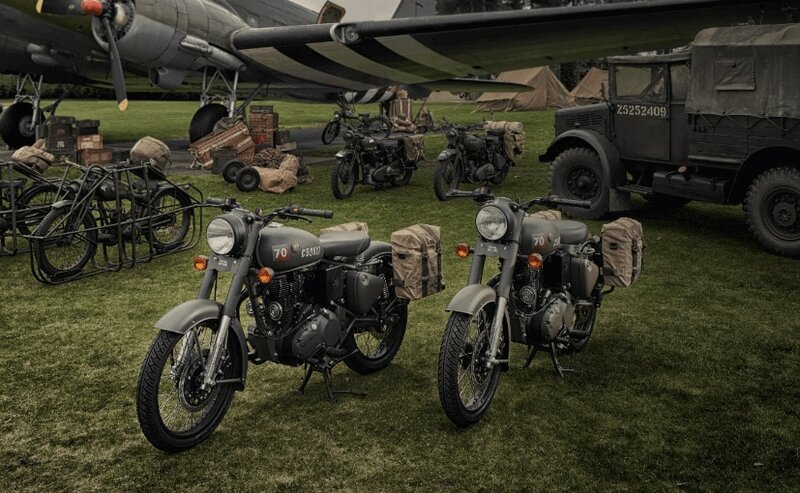 The bikes have been built as a tribute to the original Flying Flea motorcycles that served the British Army during the World War II. The Flying Flea was essentially the RE/WD 125 that would be air dropped along with the British paratroopers during the war, behind enemy lines. 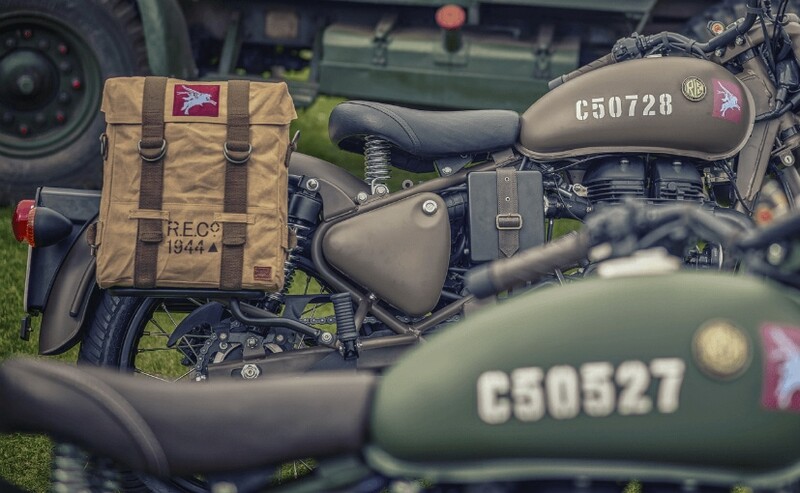 The Royal Enfield Classic 500 Pegasus Edition has been built in official association with the British Army's Parachute Regiment. The Pegasus recreates some of the aesthetic elements from original motorcycles of the era with the special service brown colour scheme, blacked out components, Pegasus emblem on the fuel tank with stencilled numbering and the period correct RE brand logo. You also get military-style canvas panniers, brown handlebar grips, and a blacked out exhaust muffler as part of the changes.